← are you ready for ms windows vista? have you wonder what is google website look like in 1990s? 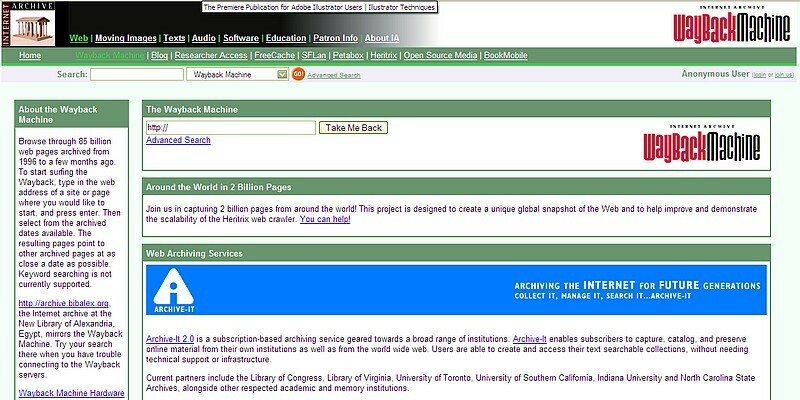 now you can look at this website called wayback machine. you can surf the website check out google or yahoo! pages circa 1990s. and this is how google look like yesteryears or in 1998! and what about yahoo! website in 1996? now, let’s surf for yourself those yesteryear’s website. you might wanna check your own company’s logo circa 1990s. go and surf this wayback machine now fellas!